We are happy to announce that Blue Cat's PatchWork 1.1 is now available. This new release mainly brings sub plug-in automation support thanks to new parameter mapping features, phase flip and gain compensation for parallel chains, a few compatibility improvements and more (more details in the plug-in's page)! The introduction offer (20% off) still applies, until December 31st. Same for Blue Cat Audio customers' larger discount (40% off). As usual, existing customers can download the updated version from the same page as the original download (do not install the demo but the full version: it won't let you register otherwise). Enjoy! 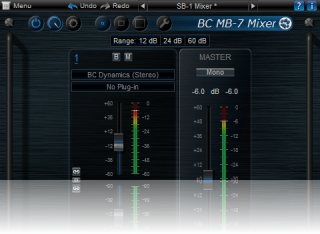 Blue Cat's MB-7 Mixer 2.11 is now available! This new release mainly brings plug-ins compatibility enhancements, as well as memory optimizations to be able to use even more instances in 32-bit sessions. (full list of enhancements on the MB-7 Mixer page). For registered users, the update is free and the new version can be found at the same place as the initial version. If you do not already own the plug-in, don't miss our December deals, available until the end of the month! We are happy to announce our december deals to celebrate the end of the year: save up to 25% on our audio plugins and bundles! The offer will last until December 31st only, so don't miss it! You have just purchased a plug-in from us? Don't worry: existing customers (prior to this announcement) are granted 40% discount on the entire catalog: check your emails! We have just pushed an minor update for Blue Cat's PatchWork (1.01). This new release addresses a few compatibility issues with plug-ins regarding sample rate changes and VST presets banks. It also fixes a bug with the output gain stage (more details in the plug-in's history). The introduction offer (20% off) still applies, until December 31st. Same for Blue Cat Audio customers' larger discount (40% off)! Here it is! 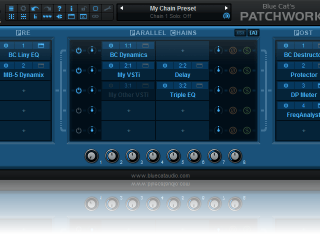 We are happy to release Blue Cat's PatchWork, a new plug-in that can be described as a "universal plug-ins patchbay": it can host up to 64 VST plug-ins into any Digital Audio Workstation (DAW), in series or parallel. With this plug-in, you can build your own channel strips and effect chains, save them as presets and share them between your DAWs. Check it out: it may truly revolutionize your workflow and the way you work with plug-ins. More information is available on the Blue Cat's PatchWork page). A special introduction offer (20% off) is available until December 31st. Also, existing Blue Cat Audio customers are granted an even larger discount (40% off): check your email! We are glad to unleash Blue Cat's MB-7 Mixer 2.1, a new version of our multiband mixing plug-in with lots of new features and improvements. This new release mainly brings copy/paste capabilities, plug-ins layout restore, direct access to bypass and editor window, compatibility improvements and much more (full list on the MB-7 Mixer page). If you are using our "SB-1 Mixer" skin, please download the latest version to benefit from the new features. For registered users, the update is free and the new version can be found at the same place as the previous one. Enjoy! We are happy to announce a new release for Blue Cat's MB-7 Mixer 2 (2.04), fixing a few compatibility issues with some plug-ins. For registered users, the updated version can be found at the same place as the previous one (you may have to refresh the download page in your web browser). At this occasion, we have decided to give you two more weeks to let you test your favorite plug-ins and purchase Blue cat's MB-7 Mixer and associated bundles with 20% off: our offer will last until October 15th! We are happy to release an update for Blue Cat's MB-7 Mixer 2 (2.03), adding tempo synchronization capabilities, as well as AAX AudioSuite support for offline processing inside Pro Tools 10 or 11. A previous update (2.02) also added support for VST Shell plug-ins bundles. With these improvements, that's even more plug-ins or virtual instruments that you can load within Blue cat's MB-7 Mixer V2! All plug-ins can now also synchronize with the host's tempo. For registered users, the updated version can be found at the same place as the previous one. Enjoy! 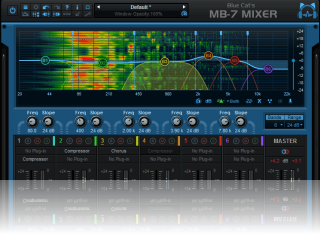 Just a few days after its initial release, Blue Cat's MB-7 Mixer 2, has been updated (2.01), and a new "single band" skin for it has been released! Although it was not initially designed for it, Blue Cat's MB-7 Mixer 2 has been widely used to host virtual instruments. Today's update fixes an issue when hosting VST instruments (no sound was output when the plug-ins was fed with silence). Also, you can now download our "SB-1 Mixer" skin that will transform the plug-in's user interface into a single band mixer with pre and post faders. It's the ideal skin when using the plug-in in broadband mode. We are happy to announce Blue Cat's MB-7 Mixer 2.0, a fully redesigned version of our multiband processing plug-in, now including multiband VST hosting capabilities! In addition to the ability to host up to 4 VST plug-ins per band, the plug-in has now a brand new modular user interface, with lots of new features and enhancements: a spectrogram display, a new presets manager, multiple display sizes, new MIDI and automation mapping capabilities, and much more... You can check our overview video of the plug-in for more details. If the plug-in is not part of your audio toolbox yet, please download and try the demo: Blue Cat's MB-7 Mixer 2.0 and the related bundles are available with 20% off until September 30th! The upgrade is free for users who have purchased the plug-in in the past 2 months, and others will receive an offer by email to upgrade for 19 EUR or $25 only (80% off). Additional discounts apply to other existing Blue Cat Audio customers, so please check your emails! 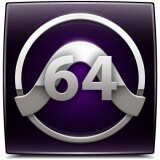 We are glad to announce that all our plug-ins and bundles are now available in 64-bit AAX versions for Pro Tools 11, on both Windows and Mac. At this occasion we are launching a special summer sale on the entire catalog: 15% off all plug-ins and 10% off all bundles until the end of July! 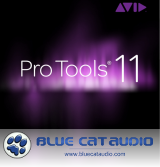 Pro Tools 11 user or not, don't miss it! As usual, this update is entirely free for registered customers, and 64-bit AAX, 32-bit AAX and RTAS versions of the 21 plug-ins are all fully compatible, so that you can switch between Pro Tools versions without having to worry about your Blue Cat Audio plug-ins. More information about AAX support and Pro Tools versions is available on our AAX format page. Enjoy! We are pleased to announce the release of 64-bit AAX versions of 12 of our plug-ins, including the free Blue Cat's Free Pack: Blue Cat's Liny EQ, Protector, Oscilloscope Multi, StereoScope Multi, FreqAnalyst Multi, DP Meter Pro, Chorus, Phaser, Flanger, Triple EQ, Gain Suite, FreqAnalyst, are now all ready to welcome Pro Tools 11. This update also includes several improvements and fixes, as you can see on each plug-in page, and it's entirely free for registered customers! Other plug-ins will be updated in the future for PT11 support as well, so keep connected! You can read more about AAX support and Pro Tools versions on our dedicated AAX format page. We are pleased to announce the launch of The Dark Side of the Cat, the Blue Cat Audio team's blog. We intend to use our new blog to tell you more about Blue Cat Audio and its plug-ins "behind the scenes". We have already been posting tips and tricks, announcements, previews and videos in the past few days. And there is much more to come, so check it out! Also, feel free to use it to post comments and interact with us... See you soon on The Dark Side of the Cat! We are pleased to announce that Sample Magic is licensing our audio plug-ins development kit for their new audio plug-in, Magic AB. Sample Magic's Magic AB referencing plug-in is a simple, powerful reference tool that allows the producer to switch between the audio they are working on in their DAW and up to nine reference tracks in an instant. It was built with Blue Cat Audio's plug-ins development toolkit, making it available on both Mac and PC, in VST, Audio Unit, AAX and RTAS formats. "Magic AB is the first in the series of revolutionary mix tools, and we are delighted to be working with Blue Cat Audio on this project." said Marc Adamo of Sample Magic. "They have proven that they can produce high end, stable plugins across all the major platforms, and are always up to date with the changes in technology and formats. this is very important from a technology partner when you have long term goals." Please read the full press release for details. More information about our technology licensing program is available in the Consulting section. 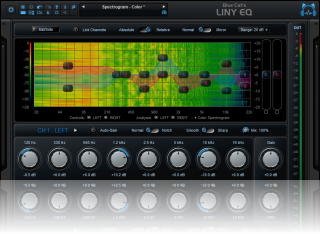 Blue Cat's Liny EQ 5.0 is now available! Our low latency linear phase equalizer has been completely redesigned for this new version. If the plug-in is not part of your collection yet, please download and try the demo: you can purchase Blue Cat's Liny EQ 5.0 with 25% discount until June 15th! The upgrade is free for users who have purchased any of the Liny EQ series plug-ins in the past 3 months, and others will receive an offer by email to upgrade for 19 EUR or $25 only (80% off). We have just released an update for Blue Cat's DP Meter Pro, FreqAnalyst Multi, Oscilloscope Multi, StereoScope Multi and Blue Cat's Protector: it mainly addresses the fact that the plug-ins did not show up in Pro Tools 10.3.5 on Windows, but also brings additional fixes and enhancements for each plug-in on both Mac and PC. More details are available in the versions history. The update is free for existing customers and can be downloaded from the same locations as the previous versions. 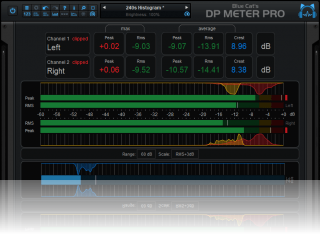 We are happy to announce the release of Blue Cat's DP Meter Pro 4.02. This maintenance release fixes several issues on all platforms (more details are available on the plug-in's page). The update is free for existing Blue Cat's DP Meter Pro 4.0 users and can be downloaded from the same location as the previous version. Blue Cat's DP Meter Pro has just been updated to v4.01. This minor update provides a new default layout to fit into small screens and also brings fixes for Mac AU and VST users. If you do not own the plug-in yet, don't miss our special offers that have been extended until March 15th! The update is of course free for existing Blue Cat's DP Meter Pro 4.0 users and can be downloaded from the same location as the previous version. Blue Cat's DP Meter Pro 4.0 is now available! Our multi-purpose audio levels meter and envelope generator, formerly known as Blue Cat's Digital Peak Meter Pro, has been completely redesigned for this new version. If you do not own the plug-in yet, try the demo: you can purchase Blue Cat's DP Meter Pro 4.0 with 16% discount, or get our discounted analysis bundle until March 10th! The upgrade is free for users who have purchased the plug-in in the past 6 months, and others will receive an offer by email to upgrade for 11 EUR or $15 only (80% off). "The bottom line: the Blue Cat Audio "Multi" Pack is an extremely well thought out set of analysis tools. The level of display customization afforded to the user is beyond anything I've seen before; as is the philosophy behind workflow integration". Want to know more? You can read the full review here, or try the demo versions of the plug-ins. 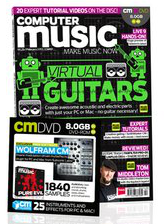 Blue Cat's Multi Pack has been granted a "performance award" and was rated 8/10 by Computer Music Magazine. "The ultimate analysis tools bundle?[...] Blue Cat has made a name for itself producing precise, detailed plugins, and these three fall squarely into that category. At times, the learning curve is steep, but it's richly rewarded, and version 2 certainly improves the user experience.[...] Multi Pack 2 is about as powerful as analysis plugins get, though it might be overkill for some." is their verdict in the January issue. If you still haven't tried these plug-ins, check them out! The full review is available online on musicradar.com. Detailed video tutorials and demos are also available for these plug-ins in our newly created youtube channel. We are happy to announce the launch of Blue Cat Audio's official Youtube channel: check it out and subscribe to get the latest video news! On this channel you will find many video tutorials, demos and reviews of our plug-ins. It's all free content! Also, if you have ideas and you want to contribute to this channel, feel free to contact us to get your video listed. Our partner Streamworks Audio has published a great introduction video to the Blue Cat's FreqAnalyst Multi plug-in. 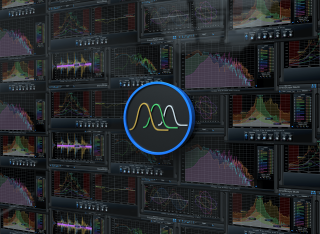 It covers everything you need to know to get started with our multiple tracks spectrum analysis plug-in. And best of all, this tutorial is available on their youtube channel for free. Don't miss it! If you want more, many other tutorials and videos are available in the Tutorials section of our website. The Blue Cat Audio team wishes you a happy new year! May 2013 bring you success with all your audio projects! Because so many of you have asked for it, we have decided to extend our winter special offers for a few more days in 2013: all our offers will end on January 4th instead of today! Don't miss them! Looking for older news? Please consult the 2012 News page.